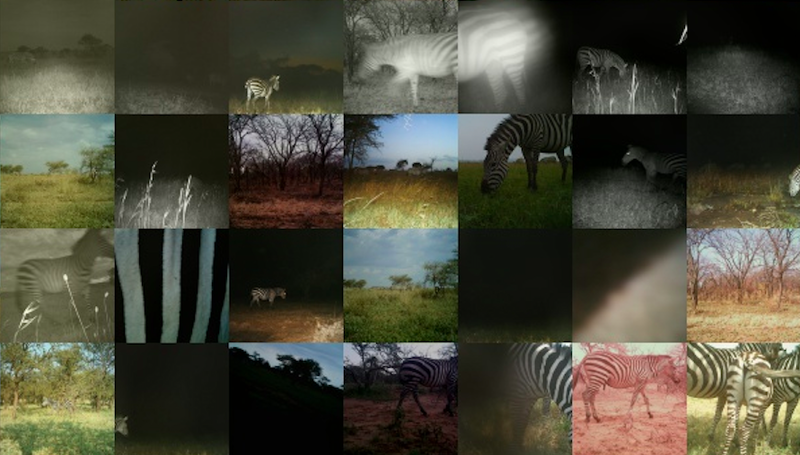 It’s advent, and that means it’s time for the Zooniverse Advent Calendar. Last year Snapshot Serengeti itself was hiding behind one the doors of the calendar – that means we’re nearly a year old! Today we appear on the 2013 calendar with this post, and the meta-zebra. 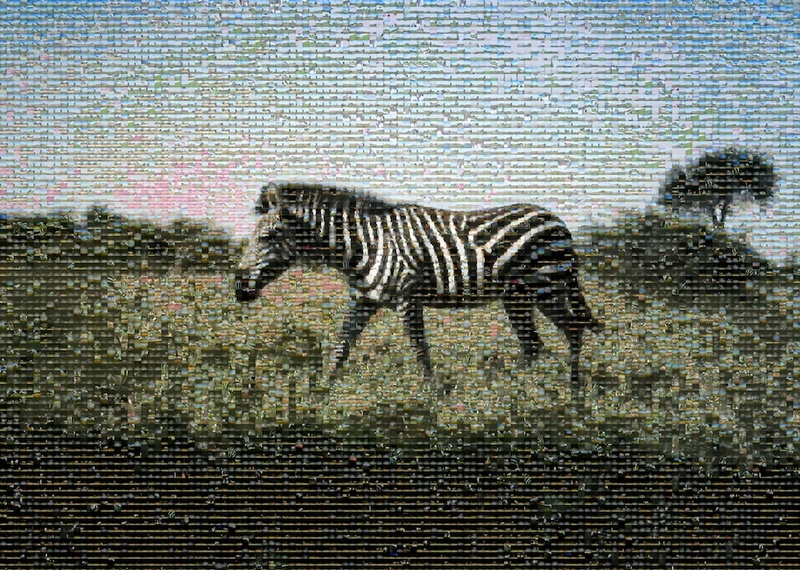 It’s a thank you to everyone that’s been supporting us for the last year: a zebra made from zebra. Naturally. This poster was created using a pool of more than 16,000 zebra identified by the Snapshot Serengeti community. We then take a nice, simple capture of a Zebra and use a wonderful piece of software (called Andreamosaic) to generate this poster for you all. It is extremely high resolution (and 70 MB big!) so if you want to, you can print it out to be several feet across! Below is the zebra’s nose. It’s just a small token of our thanks for a great year. In 2014 we’ll be back with season 7. We also plan to have more fun to share before December is over. Stay tuned!